When interacting with law enforcement, exercise caution when attempting to use the app to document your exchange. Your safety depends on your ability to clearly communicate your actions and to remain calm. Announce that you are reaching for your phone. Announce that you are attempting to access the app to record the exchange. If the officer forbids or prevents you from doing so, do not argue or resist. Follow the officers instructions. If your rights have been violated, your attorney will argue your case later. If the officer attempts to touch your screen in an effort to destroy the evidence you've captured, don't worry. 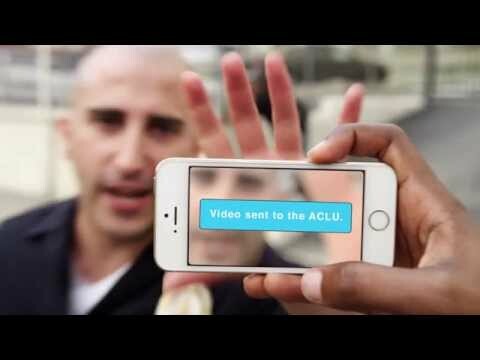 The moment the recording is stopped it will automatically be sent to the ACLU of Oregon. Download the app for Android or iPhone today!